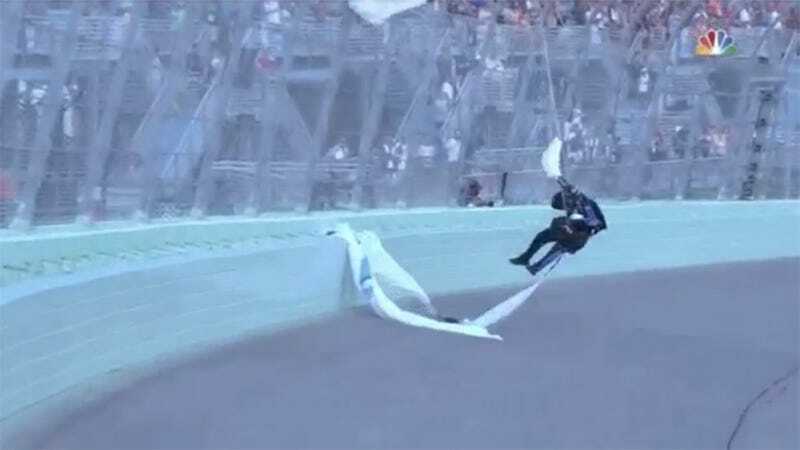 The catch fencing at Homestead-Miami Speedway did its job before today’s NASCAR Cup race, successfully catching a skydiver’s parachute, much to the chagrin of the skydiver. Everyone made it out alright, though fans report that it looked more than a little sketch in person. The Skydiver missed his mark, to say the least. This is why I don’t jump out of planes.